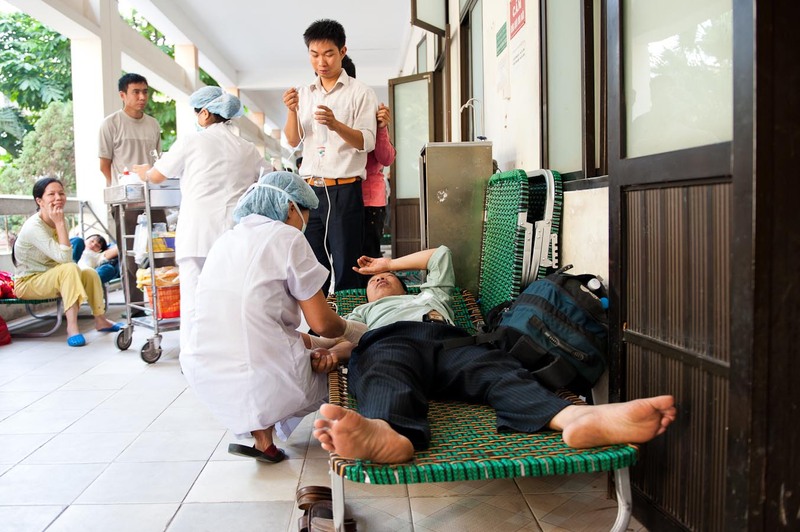 Vietnam's National Cancer Hospital, known as "K Hospital," operates beyond capacity and does not have enough beds for its patients who come from villages across the country to Hanoi. Inside a run-down french colonial building in a country where cancer is on the rise, family members who travel with their loved ones to seek treatment which lasts for months have nowhere to sleep and are too poor to rent temporary housing. They sleep along the hospitals corridors and in the meantime double-up as care-givers, helping out overworked nurses., bathing and even administering jabs to patients.